Daniel’s technical expertise spans a variety of high-tech fields, including telecommunications, software, electronics, audio and acoustic engineering, and signal processing. This expertise is underpinned by his academic experience, which includes a PhD in Acoustic Signal Processing from Imperial College London. During his PhD, he developed algorithms for acoustic signal enhancement using spherical microphone arrays, and worked at the Fraunhofer Institute for Integrated Circuits in Germany, known as the ‘birthplace of MP3’. His research culminated in the publication of several articles in scientific journals and conference proceedings; in addition, he authored one of the leading books on spherical microphone array processing. As a European and UK Patent Attorney, Daniel’s patent work primarily involves drafting and prosecuting patent applications, and defending European patents in opposition proceedings. He has particular experience of prosecuting standards-related patent applications for telecommunications companies. Daniel is a keen linguist, and speaks fluent French as well as conversational German and Italian. 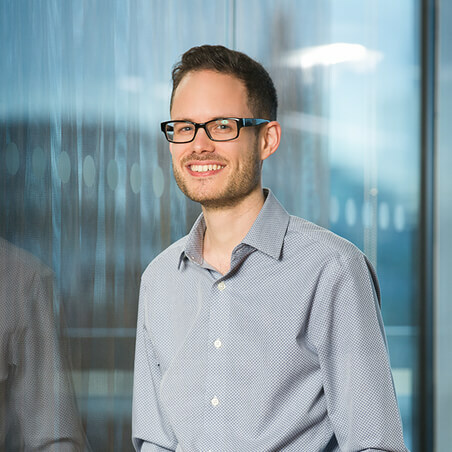 Having grown up in an international environment and lived in multiple countries, Daniel brings an international perspective to his work, and is regularly involved in multilingual proceedings before the European Patent Office. The technology team regularly contributes thoughts and insights to our future thinking.